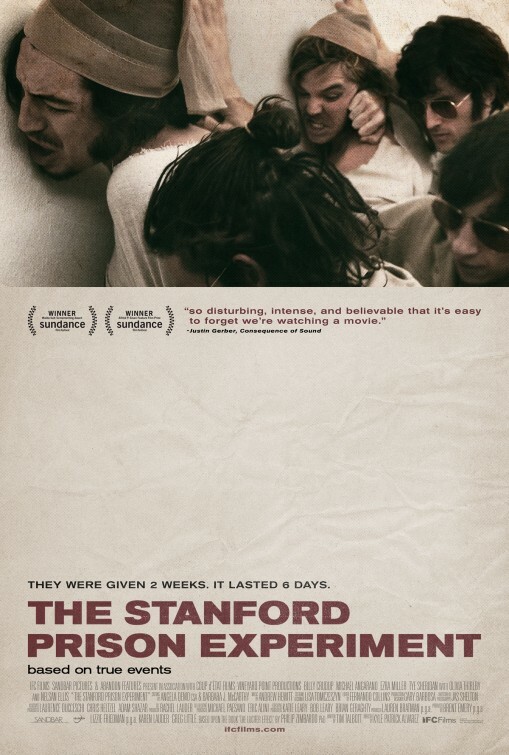 My friend and I happened to decide on this film, after we showed up at another, only to find out that it was sold out. Initially I was reluctant – as even despite of seeing its many fine cumulative scores on the movie websites I frequent, it just looked like something that all seemed just a little bit too familiar like something I’d seen before. That, and while I really like 2 out of its 3 main leads in both Rebecca Hall (“Vicky Christina Barcelona”, “The Town) and Joel Edgerton (“Animal Kingdom”, “Warrior”, “Zero Dark Thirty) who also wrote, starred in, who made his directorial debut with his film here. It’s also Edgerton’s second writing credit, as he also co-wrote 2014’s “The Rover” collaboratively with his “Animal Kingdom” director – David Michod. Though outside of this, and probably my major reason for my reluctance to wanting to see it, was the casting of Jason Bateman. An actor most known for his work in comedy (and mostly bad comedies might I add) and who I really couldn’t possibly envision playing a serious role such as the one it looked like he played in this. This idea of my not wanting to see a film because it has a specific actor or actors is somewhat of a new thing for me (at least in the past few years). Bateman is among that list of actors alongside Vince Vaughn (who in my humble opinion was terribly miscast in season 2 of this year’s “True Detective”).There are a slew of other actors like Bateman and Vaughn, who have made a string of so many bad films, that I develop what I call my own form of “blacklisting”, in that I don’t even have to hear anything about a certain film if I know it stars one of these actors of which I am referring to. That said, this looked to fit into a genre of which I personally can attest to really liking – the psychological, thriller, mystery one. And given Edgerton’s already proven gifts of being a proficient actor and writer. I was able to overlook the fact that it starred Bateman and walked into it with a clean slate, not really knowing anything about it other than it was Edgerton’s directorial debut and the 3 main leads who starred in it. That, and I read one blurb that described it as this year’s “Gone Girl” (2014) so I was intrigued. 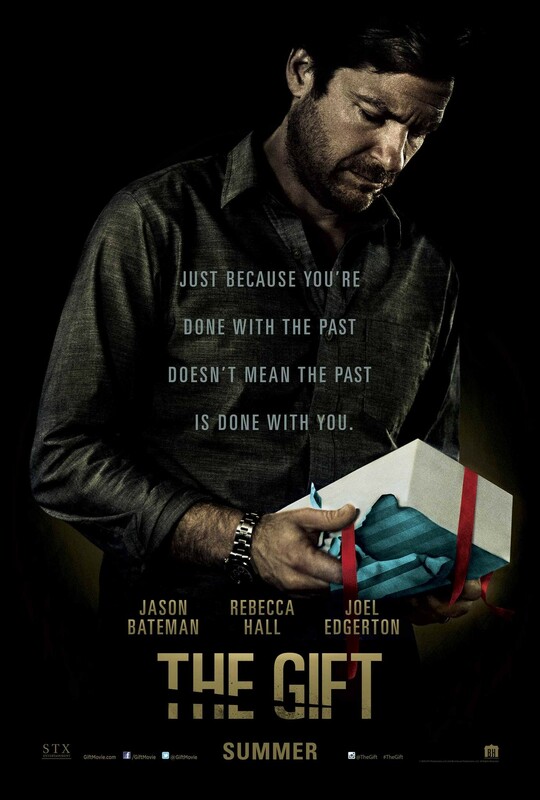 “The Gift” centers around a young married couple named Simon (Bateman) and Robyn (Rebecca Hall), who at the start of the film, are relocating back to California from Illinois because of a huge promotion that Simon has received. This said town in California is also very close to where Simon grew up before him and his wife moved to Illinois several years back. After some setting up of the story, mainly the introduction of the married couple and their characters. Simon has a chance encounter with a former acquaintance from his former school days, the slightly off-kilter Gordo (played by Edgerton). Edgerton seems incredibly happy to reconnect with Simon and starts showing up unexpectedly, always bearing gifts. To Simon, he feels threatened by this. Whereas his wife, Robyn, while admitting it is slightly strange, likes to think a bit more highly in people and views Gordo’s gifts as just good faith gestures and simply nothing more than that. So when the gifts start piling in more and more and certain valuables of theirs go missing, Simon becomes more and more increasingly threatened. And somewhat to the dismay of his wife, let’s Gordo know explicitly that he is no longer welcome at their house. This sets off the wheels in motion for the rest of the film, as secrets are exposed and lies covered up, and as Simon and Robyn distance themselves further and further from one another as certain truths are brought into light. We as an audience learn that there are layers and layers of lies and deceit that unfold as we try to figure out who’s responsible for all of it. The film wound up being a highly rewarding experience even given that my expectations of it were admittedly slightly below average going into it. It took me by quite a surprise in several different areas. It’s a fine example of a of the “stalker” family drama genre. Drawing comparisons, at least to me, to the 1990 film “Pacific Heights” that starred Michael Keaton, Melanie Griffith, and Matthew Modine. Another film about an unsuspecting couple who deals with a rather unruly tenant who is willing to go to any lengths or cost to expose the truth. Bateman does a serviceable enough job as the husband, and doesn’t necessarily add or detract (which I thought he would) from the film. As does Rebecca Hall as his wife, an actress who, at least in my opinion, always brings her A game to whatever project she involves herself in. But the real credit here is due to writer, actor, and director Joel Edgerton, who in his directorial debut, handles a rather complex and intricate script with a deft hand and a sense of confidence in his cat and mouse setup. The thing I personally would like to highlight about the film, which I personally feel like only the best ones do, particularly of films of this genre, plays with audience expectations and keeps them second guessing throughout almost the entire duration of the film. Just when I thought I had the film figured out within its first act, the film defied everything I thought it was going to be about, and proves to be a smart and refreshing psychological suspense thriller, with a creepy and dark tone throughout like last year’s aforementioned “Gone Girl”. Where we as a viewer (and I will say we because the rest of the theater patrons seemed to have a similar response – at least from the vocalizations I could hear from those seated around me) are stretched out like a rubber band and left on the edge of our seats trying to figure out the many of its plots intricacies. Even given that it got a wide release (probably because of the casting of Bateman), it still felt entirely indie, and none of it (and I mean none) played to audience expectations like so many other films do. It takes a lot of work on behalf of the viewer to constantly disassemble and reassemble its many different changes and shifts in plot developments. Which I personally thought was its greatest strength. And despite it becoming slightly confounding towards the end, it’s something that I think I would and could recommend to just about anyone. It’s becoming more and more apparent to me that there seems to be somewhat of a paradigm shift going on in the crime genre that’s been happening over this past decade. I referred to it recently as a “subversion” to somebody in which we’re experiencing a point in time in crime films where filmmakers themselves seem less interested in telling stories that are loud, overstated, excessively violent crime pictures made not to entertain by the stories in which they choose to depict but are more focused on the psychology component of them instead. The distinction can be made by looking at Martin Scorsese’s “Goodfellas” (1990) or Quentin Tarantino’s “Pulp Fiction” (1995). Both were monumental achievements that undeniably made their mark on cinematic history and often times are the two most recognized films of the crime genre outside of Francis Ford Coppola’s “Godfather” trilogy (1972, 1974, 1990), the first two who many consider to be the greatest crime films of all time. All films that ultimately were immensely successful and instrumental in terms of their influence on just about every movie to come out of the genre since. But within the past 10 years or so, there seems to be a stark contrast to those films within a new crop of international filmmakers coming out of the genre looking to explore new territory within it, without the typical glamour and style of the “post-Goodfellas” era crime film. Films like Paolo Sorrentino’s “Il Divo” (2008), Matteo Garrone’s “Gomorrah” (2008), Jacques Audiard’s “A Prophet” (2009 – still in my opinion, the best crime film made post-2000), and David Michod’s “Animal Kingdom” (2010). All seemed to be exploring new ideas of the genre by focusing on varied components and themes around different types of crime circles. From political ones, to ones that deal with crime as a way of life, to being educated on becoming a crime lord, to the decimation of the crime family, and how crime exists from a business perspective while living in a Capitalist society. These are just some of the themes contained within what I call the “new wave” of crime film. In where the characters and their depicted lifestyles are meant to be more cerebral and looked at as being flawed than the crime films of the days of old (once again excluding “The Godfather” trilogy of course). These characters and the way in which they live aren’t even remotely appealing or alluring, but rather sad and devastating. All of the latter films I mention exemplify this distinction quite well, and when I saw this film advertised and it being quoted as “the best Italian crime film since “Gomorrah””, plus my overall love for the genre, made it an instant “must see” upon its release here in theaters this weekend. 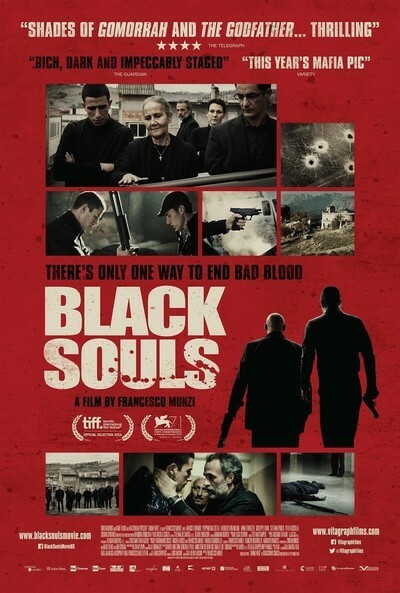 “Black Souls” is the based on a true story account of the real-life mafia clan (known as the “Ndrangehta”) out of Southern Italy, the Carbone family (nope not the Corleone family), who consisted of three brothers – Luigi and Rocco, who are involved in the business of international drug trade, and Luciano, who has escaped the lifestyle in favor of living in a remote mountain town herding goats while trying to raise an honest, hard-working family. Though Luciano has a son, Leo, who is a high school drop out and seems to want to follow in the footsteps of his two crime affiliated uncles, particularly that of Rocco, who the boy clearly seems to idolize. Upon hearing that his family has been defamed by one of their rival families, takes matters into his own hands seeking payback and in doing so sets off a blood feud and a series of tragic events that forces all of the family members to become involved. This was a riveting, compelling, and brilliant entry into the crime genre by Italian director Francesco Munzi. Who seems to know his influences well but sets out to make something deeper with more of a focus on the tragic-like nature of the crime world and how it affects a family from generation to generation. It really does a great job probing into the minds of the three Carbone brothers, two of whom are totally immersed in the lifestyle and the other who took a much different path and seems to know the real truth and is willing do whatever it takes to save his son from growing up to be a criminal. The relationship between the young boy Leo and his uncle Rocco as is the sibling rivalry that takes place between Rocco’s brother and Leo’s father Luciano is expertly drawn out and feels believable and authentic, and presents the family’s quarrels both within their own and outside of as realistic and utterly devastating. 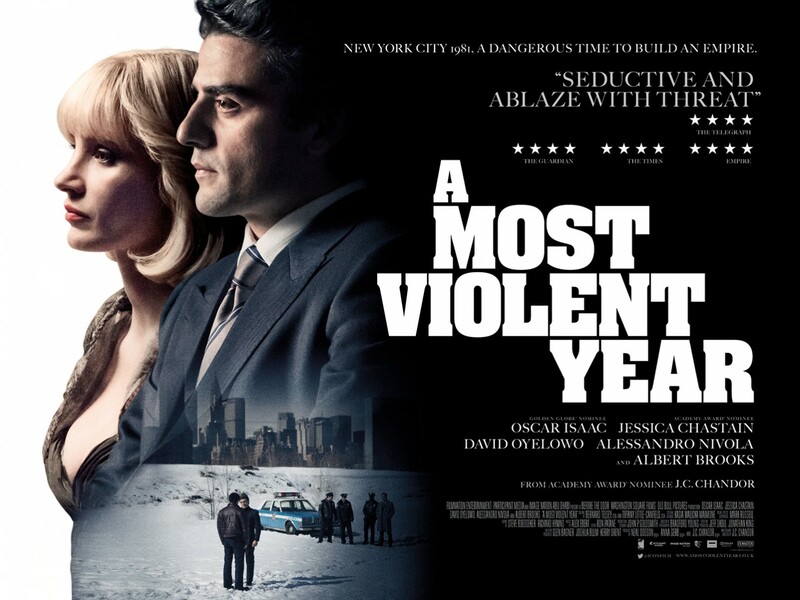 Only three major acts of violence occur throughout the entire film, but similar to how I mentioned in my review of “A Most Violent Year”, when the violence erupts, packed both one hell of a punch and was unpredictable, as well as hitting me on such a deep emotional and guttural level, that at times I was borderline shedding tears. As I was really that invested in the story and so moved by the tragic events that unfold. Which I thought was the film’s greatest strength and a true testament to Munzi’s adapted screenplay and deft hand at directing in how it enabled me to be so invested in the story. From a technical point of view it’s very well done, especially in terms of its cinematography, lighting, and dark contrast between the urban city of Milan and the brighter Italian countryside. But what really did it for me was how the character of the farmer brother Luciano, a man who lives by a strict moral code and value system in trying to make an honest living, and in by knowing of the truth, winds up confronting himself in an ending that left me practically speechless. As far as current, modern day crime films go, this a very solid entry that will most likely will be overlooked but demands to be seen. Okay I’ll just come flat-out and say it – “Jack O’Connell is the best twenty-something actor, stateside or international, that is currently working in the film industry today”. The last time I felt like I discovered an actor of his caliber was when I was first introduced to Tom Hardy (who coincidentally enough I draw a lot of comparisons between the two) in Nicolas Winding Refn’s “Bronson” (2008), who as I predicted, like I do with O’Connell, would be a household name in just a few years from then once American audiences started to take notice of these highly gifted young actors. Also, like Hardy, I first caught wind of O’Connell in 2013’s “Starred Up” (another prison drama like “Bronson” which I considered the best post-2000 film of the genre outside of Jacques Audiard’s “A Prophet” (2009) ). O’Connell puts in a breakthrough performance that rivaled that of his co-star, the immensely talented Ben Mendelsohn (who’s pretty much been the best part of everything I’ve seen him in). O’Connell was so good in that, that I vowed to myself that I would follow this very promising and undeniably gifted young actor in every project he does from this point forward. And at the young age of 24, he shows the potential to be just as good, if not better, than someone like a Tom Hardy or a Matthais Schoenaerts, but should achieve their same level of fame about a decade younger than they did, those actors being well into their thirties. O’Connell is basically still just a kid, which makes the anticipation of what he’s going to next all that more exciting. And so far, in just the past 2 years, he’s played the lead role in the aforementioned “Starred Up” (2013), last year’s Angelina Jolie directed “Unbroken” (which I still haven’t seen but that has recently moved to the very top of my queue simply because it stars O’Connell), and now this film. Which without giving away what I thought about it too prematurely, let’s just say I wasn’t disappointed by it. This was a mightily impressive debut from director Yann Damange and yet another brilliant performance by O’Connell, who seems to be in just about every frame of the film and who is clearly the meat and bones of the picture. The film itself is gripping, taut, and engaging from start to finish, and has an incredible sense of pacing. One thing that stood out to me was that while I went into it thinking I was going to be watching a War film. It rather deftly combined other elements into it that made it an equal parts thriller, political espionage cat and mouse game evoking the works of writer John le Carre, historical drama (1969’s “Z” and 2005’s “Munich” acting as reference points throughout the film), as well as a crime film (my fellow movie companion said it felt a bit like David Michod’s “Animal Kingdom” (2010). Which I didn’t get at first but when he started to explain the levels of corruption by all members of society, I could see why he drew the comparison and understood how he could tie it in. The camerawork was also stunning, and shot in a style reminiscent of the recent films of Kathryn Bigelow (“The Hurt Locker”, “Zero Dark Thirty”) which made it feel authentically real. The only few very minor criticisms I had of the piece was that they didn’t really provide much back story into O’Connell’s character. That and I found many of the interlocking characters from the different facets of society a bit difficult to follow. Kind of how I feel about Asian films depicting the Yakuza – certain characters are difficult to tell apart as many of them appear similarly. Lastly, I think the film could have been expanded on and went further into its story which seemed to go across by quickly at a rather brisk 99 minutes. Those few minor criticisms aside though, this was a well acted, thoroughly engaging, and gripping meta-film about a time and place in history that prior going into the film, I knew little to next to nothing about. And in summation, it was only the second film I’ve seen this year outside of “A Girl Walks Home Alone At Night” that I was so engaged in that I didn’t take a bathroom break because I couldn’t bear the thought of missing even a second of this well constructed and incredibly tense film. That had me on the edge of my seat from its start to its nicely poetic and emotional finish. Writer/Director David Michod’s sophomore follow up to his electrifying debut – 2010’s “Animal Kingdom”, which burst on the scene with the type of energy that Quentin Tarantino did with 1992’s “Reservoir Dogs”. Except whereas Tarantino was sensationalizing the gangster lifestyle, Michod takes an opposite approach, showing them as beaten down souls riddled with paranoia who have backed themselves up into a corner where there’s no way out. There was nothing attractive or alluring about the lifestyle of the gangsters depicted in “Animal Kingdom”. But much like Tarantino did, Michod essentially came out of nowhere, and made one of the better (if not the best) modern day films about crime families. Which he in turn caught the eye of many on the film making landscape as one of the most promising new talents to watch (hence why he got a coveted slot at this year’s prestigious Cannes Film Festival lineup of 18). Michod once again finds himself continuing to explore themes that he did in “Animal Kingdom”. Themes such as the nature of violence, where it derives from, and the moral complexities that lay behind it. The loose synopsis is that we are shown the aftermath of what appears to be a crime committed that went awry, and we follow the 3 men who get away. During a shoot out they crash, and hot wire a car owned by Guy Pearce’s troubled, elusive, and undeniably ruthless character. They just messed with the wrong guy. Pearce follows them for no reason simply other than to get his car back. While in the process, he discovers one of the men who didn’t get away and was left behind for dead, played magnificently here by Robert Pattinson (anybody who still think’s this guy is just a pretty face has to look no further than here to prove themselves wrong). The Pearce character then takes the Pattinson character under his wing, and goes to seek revenge against those that left him behind. This an incredibly dark, gritty film where the violence is unrestrained and very explosive. One of the film’s greatest strengths, and a nod to Michod as a film maker, is in its ability to show such levels of extreme violence but only at very intermittent times throughout the film. And unlike Tarantino, who’s violence can across as sensationalized and somewhat exciting, Michod is on the opposite plane. It’s what I’d call restrained yet very serious violence. When a gun shot or a round goes off you can almost feel it. I also thoroughly enjoyed the film’s score, which had an almost off-kilter sound, similar to recent scores from Radiohead’s Johnny Greenwood that he’s done with Paul Thomas Anderson’s films since 2007’s “There Will Be Blood”. I thought its obtuse use of sounds lended itself well to the story of characters who are on the brink of insanity. It’s also incredibly well shot, using the Australian outback as almost a second character, as all of this violence abrupts amongst a quiet rural topography. Again, another effective tool use by Michod. This turned out to be much like “Animal Kingdom” another brilliant film. And proved to us once again why writer/director David Michod is a force to be reckoned with. I’ve already cleared a spot for it on my list of honorable mentions (#’s 10-20) which depending on its resonant staying power, could even stand a chance at cracking my top 10 at year’s end.